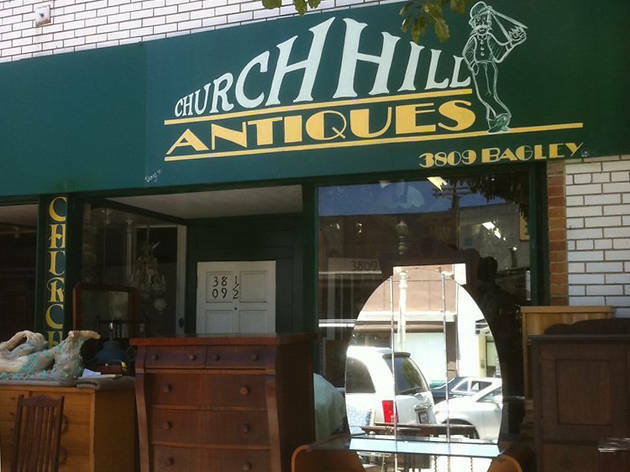 As Church Hill Antiques has the crowded, overstuffed feel of a thrift store, the unseasoned shopper may feel the prices are high for what’s on offer. 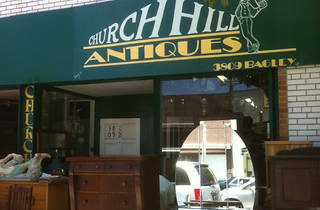 Appearances can be deceiving, however, and in reality Church Hill is simply brimming with must-have treasures, ones which its British proprietor may bargain down in price if you ask nicely. Look for standard fare—antique seating, lighting and etc—as well as more offbeat items, like antique opium scales. Went there to look at an item, the owner has no semblance of organization. I picked something up (there was no sign), and a couple of things fell so I scrambled to pick them up, and the owner turned the corner to come see who it was. His face went from friendly and warm to cold and angry when he saw it was two minorities in his shop, "ruining things" as he said it. The owner is racist, the shop is cluttered and dirty. I would avoid.